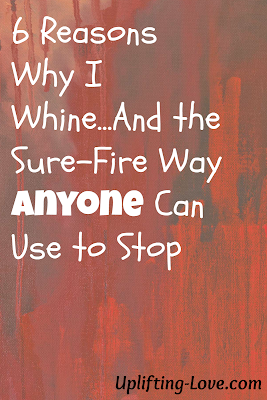 I'm a bit of a whiner. It's not too bad, I don't think, but I can get pretty annoying...especially when I take time off of work. I've always been blessed/cursed with a need to feel productive each day. If I feel the day slipping by and I feel like I haven't accomplished anything I start to get really cranky and antsy. My stress levels have been climbing lately and so I chose to take this entire week off of work. The idea was to not think about work and focus on the family and enjoying time with them. The problem: I still need to feel like I'm accomplishing something each day. The last two days I did that by working through my work emails. Not what I was planning on doing this week. This morning I woke up early, took a long walk to spend some time thinking and get a little bit of exercise, and came home happy and excited for a new day. Now, four hours later, I'm difficult to be around. Cami's given up on me and the kids recognize I'm no fun to be around right now. I'm bored. If I don't have enough to do my happiness levels begin to spiral downward. I have too much to do. When I spend my time checking things off my list and when I'm done my list is bigger than when I started, and this happens day after day, I get frustrated. I spend too much time around people. I am an introvert and while I enjoy spending time with other people too much time and too frequently wears me out. Feeling like a failure. I have so many ideas of things to do, businesses to start, and fun to have but when I begin to translate them into reality a million things happen to slow me down. I know this is normal but it's frustrating and when seemingly none of them come to pass I feel like I have failed. Being unkind. I get really cranky when I've been unkind to someone. I'm mad at myself for being a jerk and I have to work through a process to forgive myself. It's especially difficult when and apology isn't possible . I'm tired. The problem here is that I'm tired far too often. Having too much to do and spending too much time around others is my life right now and I live exhausted. 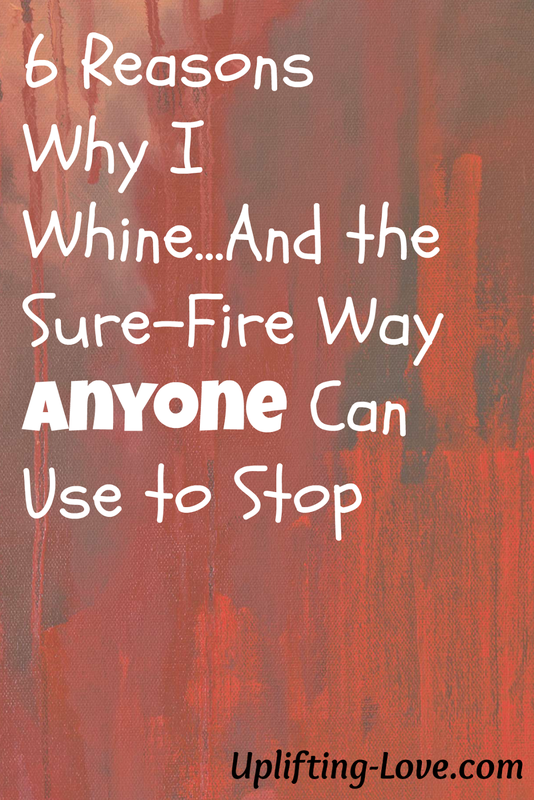 None of these are good reasons for being cranky or whiny and I'm not seeking empathy, comfort, or consolation. 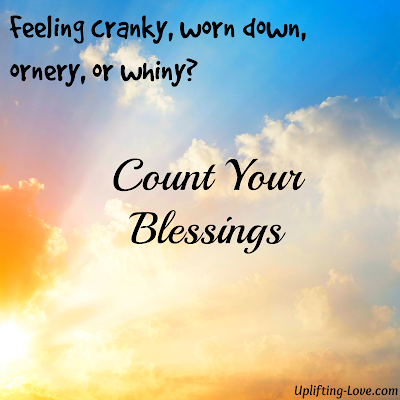 I am happy the majority of the time but sometimes, like now, I get ornery. And those ornery times can cause considerable friction between Cami and me and in our family. I have a testimony of and faith in Jesus Christ and God the Father. They are real and they love me more than I know. There we have it! I feel better already. Next time you're whining stop and count your blessings and you'll see what God has done. And when you do, you can't help but cheer up.